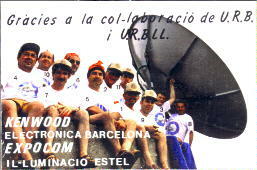 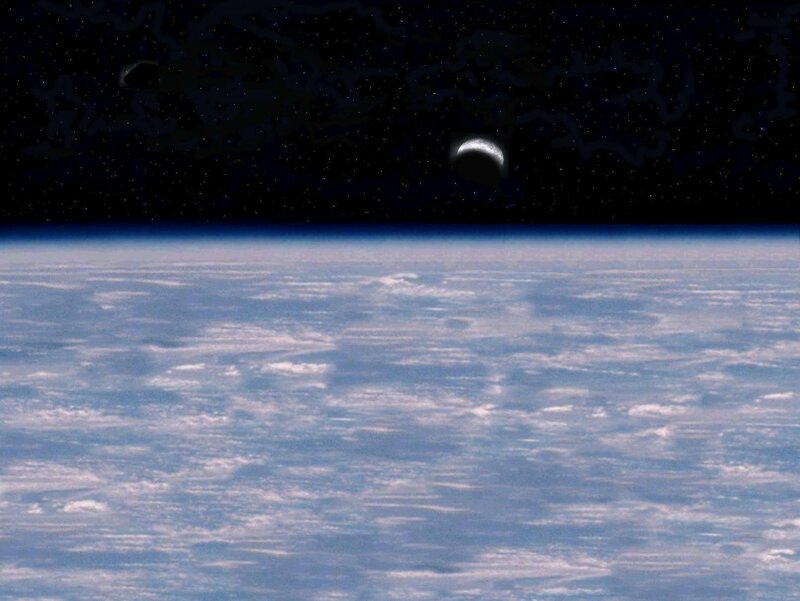 After this experience in August 1988 EA3BB and his brother EA3DXU organized an other DX EME Expedition from Andorra with the Special Call C3URA with the presence of: I5WBE, C31LD, C31VQ, EA3AW, EA3BB, EA3AQJ, EA3AEN, EA3AYX, EA3BTZ, EA3DXU, EA3EHQ and the support of EA3WZ, EA3XU, EA3AVM, EA3AWD, EA3BKZ, EB3CVL, EB3CNX and EB3CXT. 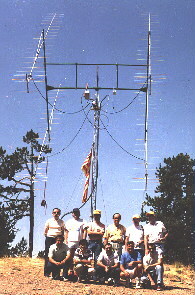 C3URA worked on 144 MHz. 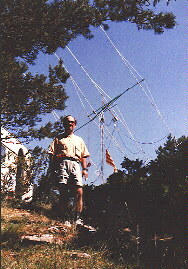 EME 78 QSOs - 61 Different Stations - 56 QSOs on Random - 4 Continent - 6 Continent listened. 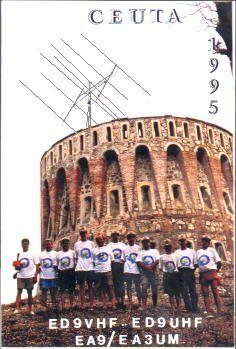 Seven years later, in 1995 there was another Dx Expedition in Ceuta with the call ED9VHF - ED9UHF and EA9/EA3UM on SHF, were actived at the same time the three Bands, operators: EA3EM, EA3MD, EA3UM, EA3AQJ, EA3AYX, EA3BTZ, EA3DXU, EA3EHQ, EA9AI, I5WBE, Cesar SWL and the usual support of EA3BB.